It is also alleged that he berated the police, calling them ‘cowards‘ for not taking harsher action against the protesting natives. 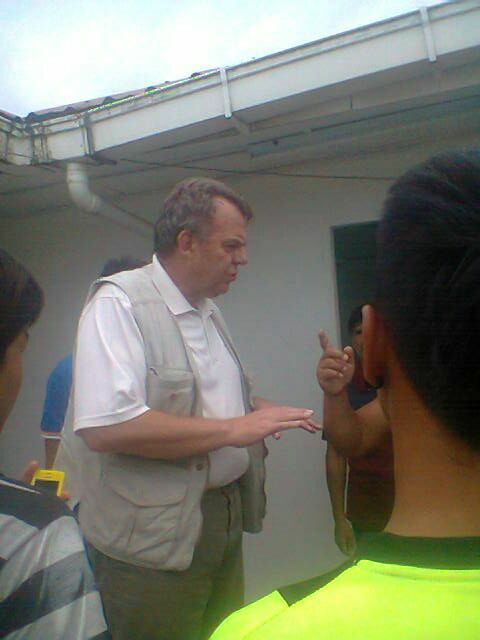 Sarawak Report suggests that all this is a bit rich coming from a foreign bully like Torstein Sjotveit! According to reports, representatives of the Penan, who are demonstrating at the Murum Dam site, say they were ordered into vehicles and driven some miles to receive their audience with the CEO, who then shouted at them. After he had delivered his invective and chastised the police, he drove his people off, leaving the Penan to walk home, as some form of ‘punishment’, they assume. The once proud and living river begins to clog up. Soon the stench of stagnation will fill the air as methane pours out in vast quantities to contribute in no small measure to our global warming. As international NGOs and Sarawak Report have repeatedly pointed out, the case of the Penan, who say they have been treated unfairly and abysmally by Sjotveit and his boss, Chief Minister Taib Mahmud, is overwhelming. 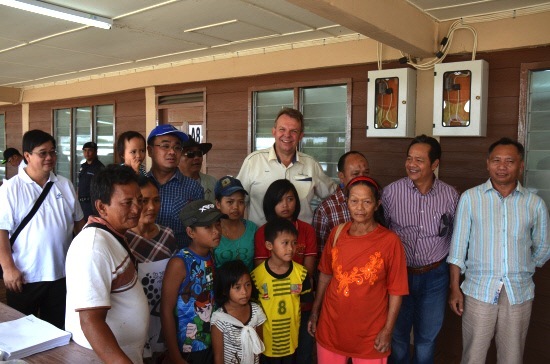 The construction of the Murum Dam has contravened at every single stage the international protocols laid down for the building of dams, as adopted by the International Hydropower Association, which Sjotveit has signed Sarawak up to as a present Board Member state. The project was started in secret, without a single case being made to justify its destruction of one of the remaining areas of Borneo Jungle, save for Taib’s own whim and profit. It was only after completion that there appeared any publication of by then token environment and social impact assessments. And now in a crowning act of dictatorial arrogance Torstein, as CEO of Sarawak Energy, has presided over a sudden and unannounced decision to without warning begin the impoundment of the dam, while native people were still protesting at the unfair terms of the compensation arrangement that has been forced upon them. So mean and laughable has been the ‘compensation’ planned for the Penan, in fact, that individuals with a better conscience than Taib Mahmud leaked the Government’s own Resettlement Action Plan Report (RAP) on Murum to Sarawak Report last year. The RAP spells out in distressing detail the appalling neglect of this indigenous tribe by the Sarawak Government over the past 50 years, as loggers have been let in to their areas to pillage and destroy their hunting lands and plantation companies have followed them in to finish off the job, killing the entire habitat and polluting the rivers. This plunder, carried out by outsiders and foreigners in the name of ‘progress and development’ has so far seen not a single benefit returned to the native people, 40% of whose children are malnourished and well nigh 100% un-educated, according to the report, which the state government was attempting to suppress. So, what right has Taib’s million dollar staffer, Torstein Sjotveit, to lecture “that foreign troublemakers and anti-government NGOs have never done anything practical to help you and they never will”? Sjotveit appears to bring tears to his own eyes as he relentlessly spells out in his well-funded propaganda how his mission is to show the natives how to improve their lives. Yet, he never refers to his own interest in the matter in the form of a whopping salary with perks. So, why his sense of huge moral superiority over concerned people in far away countries, who are shocked at the destruction that has been wreaked on Sarawak and its people by mega-dam projects that have given nothing back to the ordinary folk of the state? There are now indeed thousands of foreigners trampling across the once pristine lands of the Kenya and Penan at Murum. But they are not NGO’s on their shoe string budgets or volunteer bloggers. 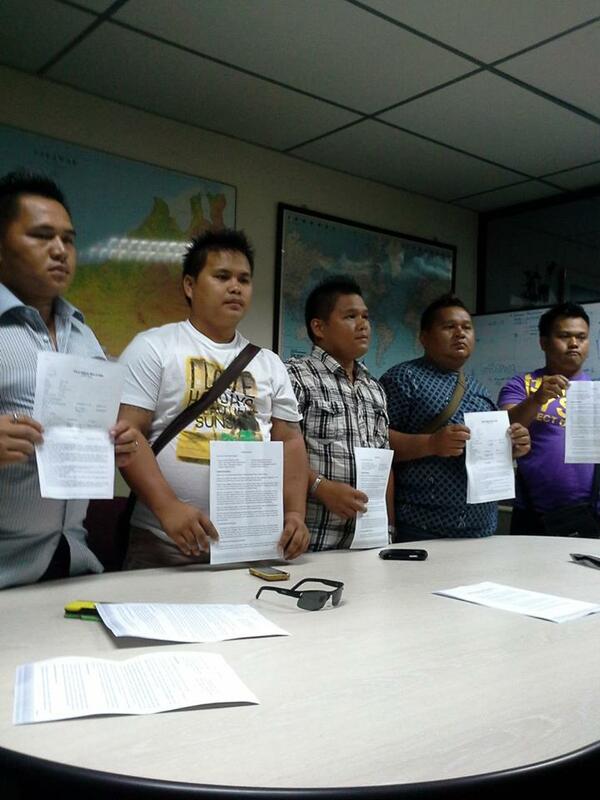 These are the army of foreign workers hired by Sarawak Energy from China and Indonesia, Burma and Pakistan to tear down the rainforest and build the Murum Dam. 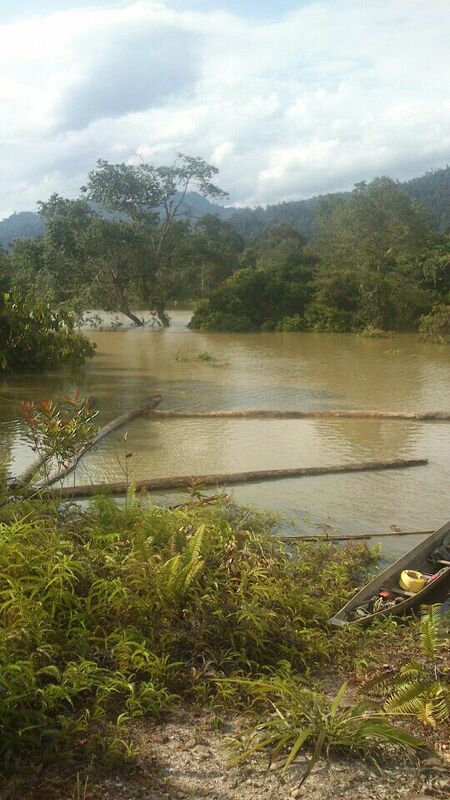 Those foreigners have indeed caused problems for the Penan, penetrating their villages and causing upset. They are also allegedly desperately under-paid in many cases and ill-treated, according to some who have fled Torstein’s ‘philanthropic’ work site. So, with all this talk of foreign troublemakers ‘instigating’ dissent, we ask why has Sarawak Energy done so little to attempt to help, train, educate or employ the local Penan people, whose lands have been trashed by big machines and are now being flooded with brackish dam water? The RAP document showed the majority of the indigenous people have yet to be organised birth certificates, identity cards or voter registration, despite Torstein’s invading work forces – and yet he has the brass neck to criticise foreigners who speak out in support of the Penan protests! 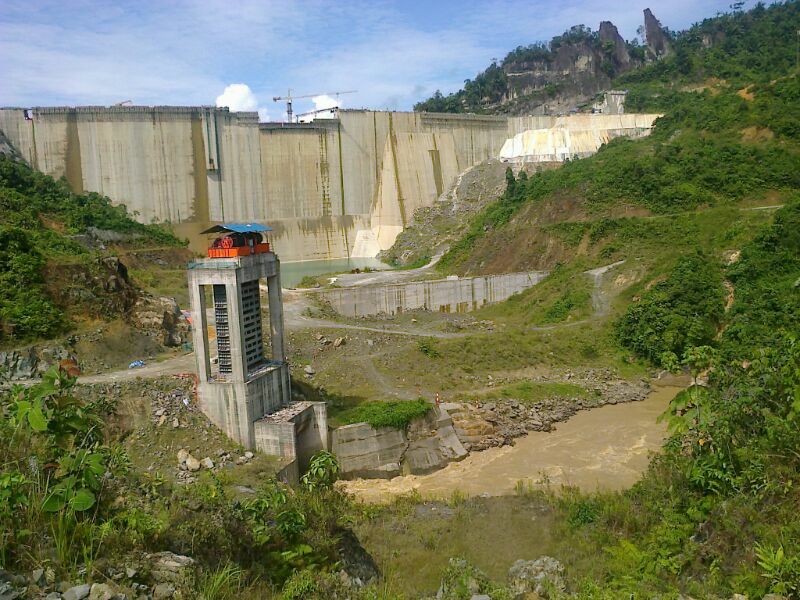 Sjotveit is currently suffering a major credibility problem with his management of Sarawak’s hydro-electric venture. Failures of the power system shortly after he linked the Sarawak grid to the Bakun Dam completely destroyed the SCORE programme’s grandest industrial showpiece. The much trumpeted aluminium smelter plant in Mukah is now a solidified wreak, at the cost of hundreds of millions of ringgit. So, perhaps this expat should focus his over-paid foreign ‘expertise’ on performing the job he was brought in to do properly, rather than patronising, bullying and lecturing the native people about how they want to develop their future lives? Shoot him and report that you mistaken him for a hairy big foot roaming in the jungle. A foreigner CEO telling foreigners not to meddle in his business of making poor people poorer and landless. I think the money he earns from wrecking peoples lives has got control of his head and is making him crazy, thinking only with his dickhead instead of his skullhead. Maybe he is already made a malay by that crazy Sabah mufti who is another one thinking with his dickhead. I guess all dickheads are the same just that some are white,brown,black and yellow! HAHAAH THE REAL FOREIGNER STAND UP PLEASE!! Give him a bullet and a one way ticket home. Torstein Dale Sjotveit has no business telling the Penans or Sarawakians to embrace the thief minister of Sarawak’s politics of dipolokment. As a personal consultant of Taib Mahmud and having his big fat salary paid by Sarawak taxpayers, he has no right to force the natives to give up possession of their lands and homes to make way for the constructions of Murum dam and more dams elsewhere. Stand up and be counted. Do not be intimidated by gun shots warning from the corrupted police.